After 20 years of establishing and growing Norfolk Psychological Services (NPS), the last 11 years with Dr. Linda Bream heading Child & Adolescent Services, Dr. Greenaway has formed Greenaway, Theis & Associates, Psychological Services. NPS has served the Guelph and surrounding area for 20 years. From sole private practice begun in 1990, Dr. Greenaway, and later with Dr. Bream, has grown the organization to 25 of the very best Registered Psychologists, Psychological Associates and Psychotherapists in our area. ​In 2018 NPS will cease to operate; the time has come to form smaller groups from NPS. Beginning in January 2018 Adult Services will be offered by Greenaway, Theis & Associates at 21 Yarmouth Street and Guelph Psychology Centre located at 112 Woolwich Street. A Psychologist in Ontario must have a Ph.D. in Psychology with one to two years of supervised practice before being licensed by the Ontario College of Psychologists. The designation following licensing is “C. Psych.” Psychiatrists are medical doctors who then do a Residency in Psychiatry. Traditionally Psychiatry is based on a model of mental illness whereas Psychology comes from a preventive or mental health model. Either a C. Psych. Psychologist or a Psychiatrist can make and communicate a diagnosis based on DSM-V [the Diagnostic and Statistical Manual of Mental Disorders-fifth edition]. Whether you are dealing with some issues as an individual, couple, or family, Greenaway Theis & Associates is here to help. 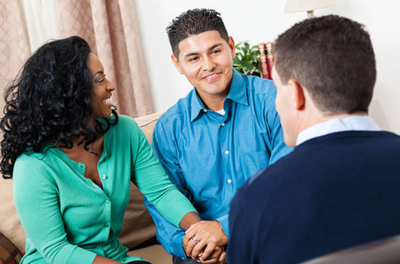 We provide the highest quality psychological therapy services to the Guelph area. Click the link below to learn more about our video portal used to conduct online, face-to-face sessions.